Power training is critical in athletics. Whether it’s the ability to juke a defender and break off a big touchdown run, hit a baseball 400 feet, or slam dunk a basketball, power is a key component that every performance coach must program for. However, before you blindly jump in and start doing 100 repetitions of depth jumps, or trying to max out your Olympic lifts, it helps to understand what it is and how to program it. Let’s start with a brief overview of what power training is, and then we can narrow down our focus to programming variables at the end. To keep things simple, force is essentially how strong we are, or how much weight we can push. But power is not maximal strength. 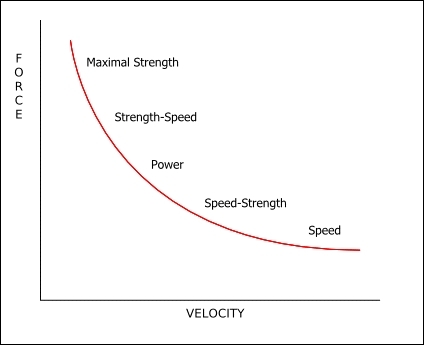 The real key distinction here is the velocity component – you can’t be powerful if you aren’t fast. Exercises such as sprints, jumps, and throws would fit more into the “Reactive” section (along with any sort of agility/multi-directional speed work). On the other hand, the Olympic lifts (which would be a bit slower in comparison, and utilize a heavier load) would typically lead off the R5/Resistance training section. Basically any exercise where the goal is to move explosively, or create force quickly, would constitute power training. Why is Power Training Important? I often get people that have questions as to why power training is important. For athletes, we know maximal strength gives us a foundation, or the potential, to be more explosive. However, training for max strength alone isn’t enough. At some point you must focus on converting that strength to power. In sports it’s rare that you have enough time to generate maximal force. It’s not like powerlifting where you have an infinite amount of time to finish a lift. Instead, the goal in athletics is to create force quickly. Science types often refer to this as rate of force development, or RFD. Power training, in my opinion, is what separates average athletes from great athletes. 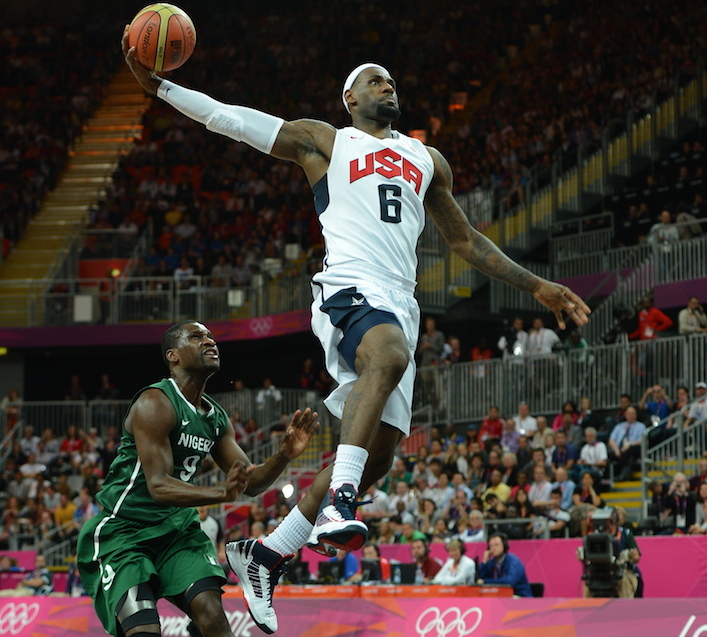 That ability to create separation, change directions quickly, or jump over an opponent simply can’t be countered. What Type of Power Training is Best? What are the needs and demands of your sport? What are you lacking physically? Or what do you specifically need to improve? Are there other qualities that we need to improve first (i.e. movement quality, maximal strength, etc.) to improve power production? Ultimately you need to figure out what physical traits most important for you, and then build the program out accordingly. If you’re an offensive lineman, strength-speed may be the most important quality, and thus O-lifts have a huge carryover to your performance. While you’re obviously being asked to move explosively, you’re also trying to move a heavy weight (i.e. another large human being) quickly as well. On the other hand, a soccer player may benefit far more from becoming explosive with their own body weight or very light resistance. In their case various types of jumps and throws would provide optimal carryover. Unfortunately, there’s not one simple, black-and-white answer. Once you dig a bit deeper and have a better understanding of the individual and their sport, you can make more appropriate decisions and programming choices. Where Do You Put Power Training in a Program? Now we’re getting to the nitty-gritty – you know that power training is important, but where do you put it in the program? As with all questions like this, the ultimate answer is: It depends. If your goal is to focus on pure power, I keep this as close to the start of the program as possible; either right after the warm-up, or leading off the resistance training component (in the case of Olympic lifts). This type of training is dominated by the nervous system, so you want to train it when you’re neurologically/physiologically prepared. but also when you’re most fresh and recovered. Once an appreciable amount of power has been developed, the next characteristic to develop is power endurance. Power endurance is more of an energy system piece than a pure power piece, so it would move into the R6 (Resiliency) component of the training session. This is where you could be doing repeated sled or Prowler sprints, kettlebell jumps, or any exercise that is focused on creating power over an extended period of time. Last but not least, there are obviously exceptions to every rule. My good friend Joe Kenn in his Tier System often includes power training exercises in the middle, or even at the end of a training session. In this case, the goal is to be able to demonstrate or produce power while fatigued. In sports, we all know that it’s one thing to look explosive or fast when you’re fresh, but it’s a totally different story if/when you’re fatigued. Joe knows the rules of the game, and then bends the rules to fit the needs and demands of his sport. Before you start bending or breaking the rules, make sure you know them first. Now that we’ve covered the foundational materials, let’s dive into the variables of power training. A power training program focused on specific traits and qualities. If the goal is general athleticism, I’ll create a circuit of exercises to teach force production for the upper and lower body, prep the nervous system, and improve work capacity. On the other hand, an athlete that is more established or deeper in their career will typically focus on a specific trait or quality in a given session (i.e. 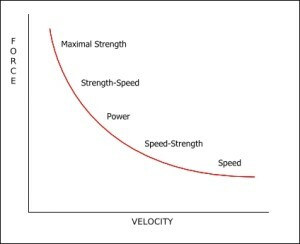 vertical power, horizontal power, acceleration, change of direction, etc.). As you can see this is an incredibly complex topic and starts to overlap with speed and agility training, so I’ll leave it at that. Next, we know that power training is incredibly taxing on the nervous system. If you examine the pretty graphic below, you’ll see there are distinct differences between “neural” and “metabolic” training. First and foremost, we know that sets and reps are inversely related. You can do a ton of reps per set (i.e. metabolic training), or a few reps per set (i.e. neural training). In this case, power training falls on the left-hand of the continuum. I typically won’t go over five repetitions per set if I’m chasing maximal power development, and more often I prefer between 1 and 3 repetitions depending on the exercise. With regards to the repetitions, this is quite a bit more grey. While I’d like to say the I program between 3 and 5 sets per exercise, what I prefer to do is autoregulate and base it off performance. If you’re doing something like a med ball throw or jumping variation, you can measure the height or distance of your best effort and then terminate the exercise when you hit a certain drop off point. If you’re doing the Olympic lifts and have access to a tendo unit, you can do the same thing. Once bar speed hits a specific drop-off point, you terminate the sets. This is the beauty of autoregulation – you do the appropriate amount of training for any given session. On the days you’re feeling fresh and moving fast, you can accumulate more volume. And on days when you’re feeling flat or fatigued, your drop off point will occur much faster and you can save it for another day. Time under tension with power training is incredibly simple – I don’t want any part of the exercise to be slow, so I always denote this with either DYN for dynamic, or EXP for explosive. Next we need to choose the rest period. With regards to rest period, the minimal amount of time I’ll use for rest between sets is 2 minutes, but we’ll often rest anywhere from 3-5 minutes between sets. When in doubt, I like to err on the side of too much rest versus too little. It doesn’t make sense to rush things – if the goal is to become truly powerful or explosive, make sure to give the nervous system adequate time to recover. So there you have it – a pretty thorough overview of power training, and how I write power training programs. This is obviously an incredibly expansive topic, but hopefully I did it some justice here. 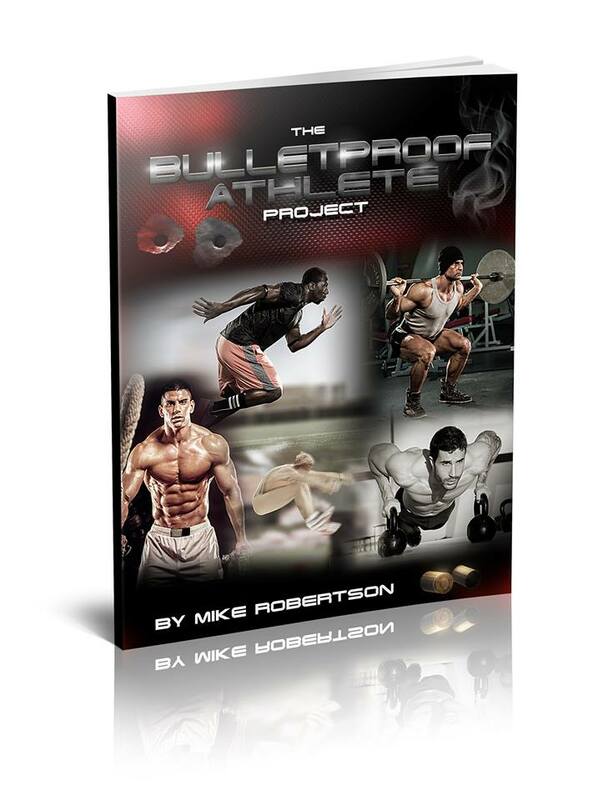 Last but not least, if you’re interested in improving your power production, I’d highly recommend picking up a copy of the Bulletproof Athlete. It’s on sale for a few more days (through Sunday at midnight, EST), and I guarantee it’s going to make you more powerful and explosive. Power training is critical for athletes, and is a trouble spot for many coaches as they don’t always know how much or how little volume to use. I definitely agree on the point you made about erring on the side of more rest (to an extent)! I think you can get more out of your athletes that way. auto regulation. That’s what i’m going to use form now on. Thanks Mike.